rewarded by the everlasting gift of their exquisite blue eyes. that when the battle was won they were left with a permanent squint. it and stared so hard that their eyes became permanently crossed. after a while a permanent kink developed especially for this purpose. NSWCFA & joining the Cat Show circuit. 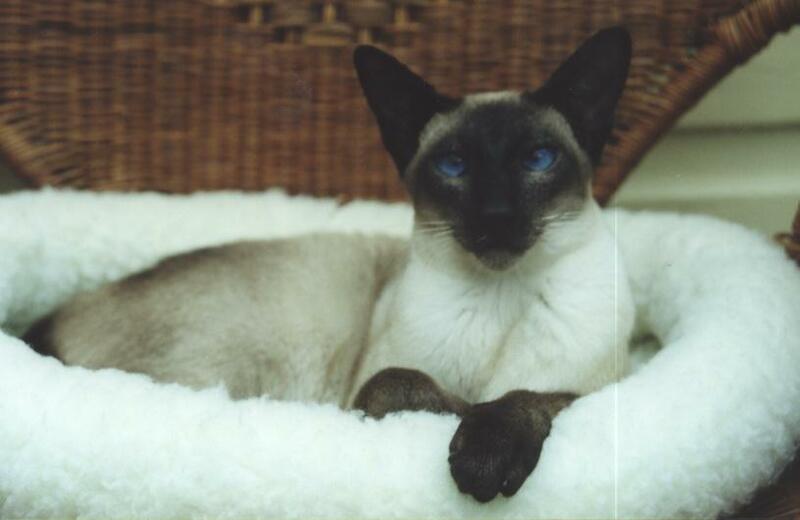 Rocky is a tremendous ambassador for not only Siamese ownership but also for adding a feline to a home. Keep up the good work Rocky !! 1st Top 5 Male Kittens. of the Year Group 2.